Regardless of birth order, these twins can be deadly and if we aren’t careful they can take us captive and hold us prisoner. It is a hard cell to break from. Let’s take this lesson to the here and now. The Lord gave me a word years ago , “You are holding your husband captive in your prison of perfection.” I wanted things “just so” and I am married to a man who, yes, washes a sink full of dishes but doesn’t pick up the sink mat to see all the crud and grime that is left! I complained. I griped. I whined. And, then, bam…. Pride, noun: a feeling or deep pleasure or satisfaction derived from one’s own achievements, the achievements of those with whom one is closely associated, or from qualities or possessions that are widely admired. Simply put, “I” is at the center of pride. The Scriptures have a great deal to say about arrogance and pride. One only needs to do a word search to find many instances of God’s view on the word. There is a good kind of pride the Apostle Paul talks about in 2 Corinthians 7.1-4. But, I am not called to be an expository writer but one who nudges all of us to look inward and see what motivates and drives us in our day-to-day habits. Pride in a relationship is lethal. 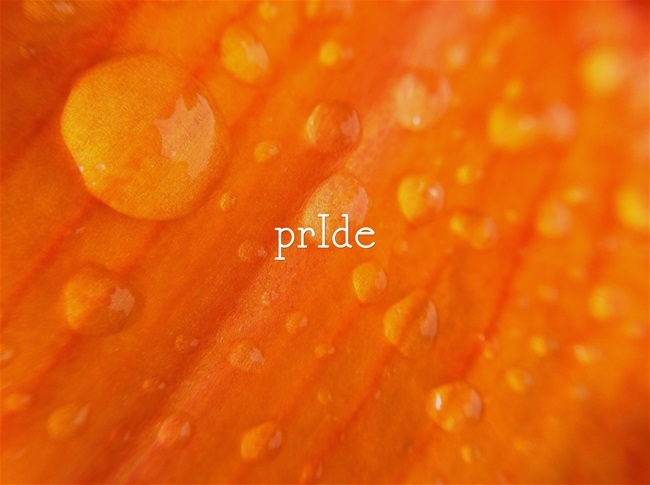 Being prideful is never saying you are sorry or you are wrong and that festers and grows and before you know it, you are drowning in a tar pit of bitterness. It is so freeing to just admit, “I was wrong, please forgive me.” Those words don’t slide off the tongue easily, but you’d be surprised that with practice they get easier and easier! Am I prIdeful in a not-good way? Am I allowing my perfectionist tendencies to infiltrate and infect my relationships? These are the questions I ask myself today. Twin sisters, Perfection and Pride. Do they live in your house? Visiting from Three Word Wednesday. Wow! This is awesome!! Loved it & appreciate you sharing! God Bless!! Hi Satin, thanks for dropping by from TWW! I’ll see you over there in a minute! Ugly. Not in like likeness for he didn’t grasp equality, or to be equal with God but instead made of himself a servant unto death…………………………..
I’m the one who washes the dishes but don’t see the cereal on the floor. My husband only sees the cereal on the floor, the dust on the table and the laundry that is still yet to be done. So, it goes both ways. A good reminder that even in our non-conformity there can and often is pride. 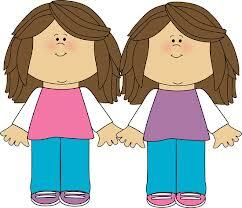 Ugly twin sisters! So are Doubt & Dread ugly twin brothers! You are a wise woman, Kris!!!!! Thank you for linking up with Woman to Woman’s Word Filled Wednesday. God bless! Jenifer – you are always diligent to visit your WFW link ups – you have an excellent spirit. Thanks. Good food for thougt, as always. any signs of Spring up there? Yes, but only slight signs! Picked some daffodils over in Tennessee over the weekend but ours are just beginning to bud! Good reflections.With my husband being gone for most of the year, I’m reminded at times of the things I might get grumpy about that he would do , but those things…I miss them. This time apart is teaching me to appreciate the man he is and how lucky I am to have him. Great post. Thanks for sharing with TWW. My hubs used to drive long-distance truck and he’d be gone for long stretches – unfortunately I used that time to get very independent rather than to learn how much I appreciated him when he was here!!!! Upon leaving that line of work, I did learn, with Holy Spirit’s help, how to balance all of that out. And, we survived! LOL.